We’re Always On You Side! This Coupon Promotion Can’t Be Used Repeatedly with Special Price Products. The VAG group vehicles are what we tested most. Also some Hyundai, Kia, Opel, Chevrolet, Range Rover, Ford, Fiat, Porsche, Jeep, etc are tested. Here are VAG test reports. EEPROM adaptor working with OBDSTAR X300 PRO for immo matching (EEPROM is used to read out password from EEPROM chip and restore data). The PIC adapter working with OBDSTAR Key Master is to read write CPU data on a part of car computer. I have bought this Key Master X300 Pro 3 claim to have the same program as the SKP900. Not true it lacks the newest protcal, all thou the F100 does have the newest protocol. For the price (€617.00) and its function over Skp900 (€395.00) looks to be the better buy. Mileage is extra bonus, more money & something different. OBDSTAR F100 Ford/Mazda key pro and OBDSTAR X300M are the separate programs out from X300 PRO3 Key Master, while if you are a master working at workshop/garage, you are advised to own one OBDSTAR X300 PRO3 Key Master which include all vehicle models and function including: key programming, mileage adjustment, PIC function (read write CPU data on a part of car computer) and EEPROM function (read out password from EEPROM chip and restore data), EPB, oil service reset, battery matching etc. Q: How to set mileage to from KM to Mile by OBDSTAR X300M? Second way, if you can not set the car to KM, you can calculate the number for converting the KM to Mile, then change it for your car. Q: OBDSTAR X300M can change mileage for the car 2013 BMW X3? A: No, at present X300M can not support mileage correction for BMW. Q: OBDSTAR X300M can support to change mileage for the car 2009 vw jetta and 09 ml320 diesel? Q: OBDSTAR X300M can change the mileage for ford taurus 2004? the car list have 2003 and 2005,we want to confirm if it can do my car. A:Sorry, it can not support. Q: OBDSTAR X300M can change mileage for the car 2014 Mazda 6? A: Yes, X300M can support this car. Q: OBDSTAR X300M mileage car list are the same with OBDSTAR X300 pro? A: Yes, if you just need to do mileage correction, you can choose OBDSTAR X300M. Q: OBDSTAR X300M can change mileage for the car VW Scirocco (2009)? A: Yes, X300M can support. Q: OBDSTAR X300M car list just shows FORD TAURUS 2004, other models from the year 2000-2007 not shows, it means x300m can not support them? A: The factory just test 2004 Ford Taurus, other models do not test, you can have a try. Q: OBDSTAR X300M can change mileage for 2012 Cadillac CTS? A: Sorry, X300M at present just support cadillac after the year 2013. Q: OBDSTAR X300M can support to change mileage for 2015 RAM 1500 and 2014 Jeep Cherokee? A: X300M can suppot 2014 Jeep Cherokee, but can not support 2015 RAM 1500. Q: OBDSTAR X300M can change the mileage for 2008 seat Leon fr tdi 170? A: Sorry, X300M can not support this car, please enter this 2009-2010(NEC+24C32)VDO和 NEC+24C64 VDO. Q: OBDSTAR X300M can change mieage for vw cc 2012? Q: OBDSTAR X300M can change mileage for 2008 Ford Expedition ? A: Yes, X300 can support. Q: OBDSTAR X300M can change mileage for Jeep grand Cheeroke WK2 2011? Q: OBDSTAR X300M can change mileage for 2008 Porsche Cayenne Turbo? A: Yes, X300M can support till the year 2009. Q: OBDSTAR X300 pro3 key programming functions including all the functions for F100 F102 and F108? A: It includes all the key programming function for F100,F102, F109, but do not for F108. Q: OBDSTAR X300 PRO Key Master can support Suzuk swift all key lost? A: Yes, can support. for old Models,No need password; if new model, need to contact the 4S shop to check the password for the car. (The car before the year 2009 belongs to old model). Q: What is the difference between green obdstar x300 pro and orange x300 pro? A: Function are the same, just different color. 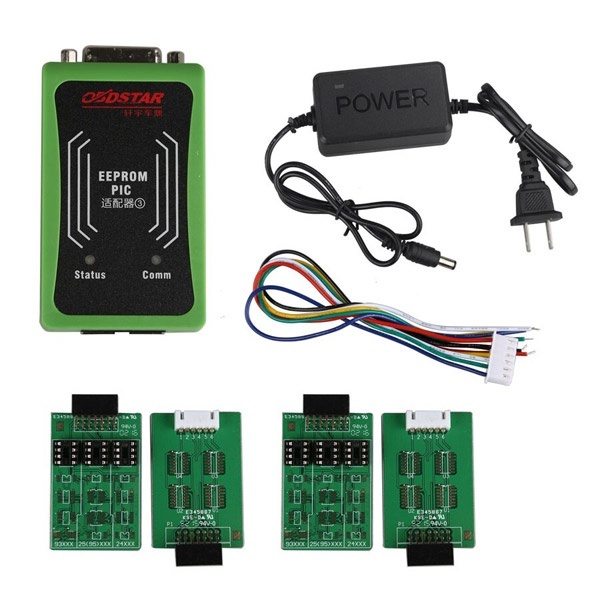 Q: OBDSTAR X300 pro can support key programming for Suzuki car including 12V and 24V? For 24v Suzuki, at present OBDSTAR X300 Pro can not support. Q: OBDSTAR X300 pro can diagnose and program keys for Citroën c4 Picasso 2012? A: Sorry, X300 pro can not support this at present. Q: When i use obdstar F100 to program keys for Ford focus ST 2016, it asked me password, what can i do? A: For Focus, only 2015 year Smart card line need password, other models no need password; if still need password when you match the key, please make record for the data to send to us, the factory engineer can check why you need this password. 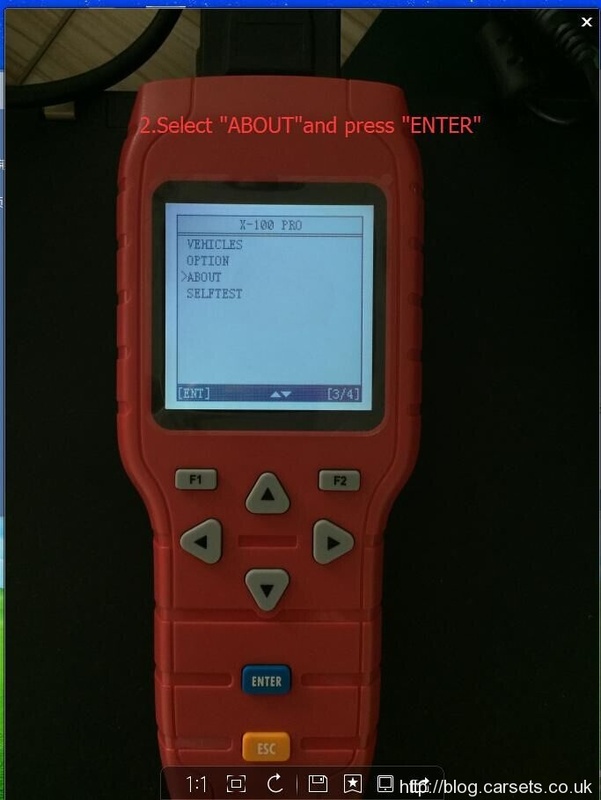 Q: OBDSTAR F100 can support all key lost for new ford focus 2015 2016? A: Yes, F100 can support it. Q: OBDSTAR F100 can program keys for 2015 Mazda CX-3? A: Yes, F100 can support this car. Q: OBDSTAR F100 can program smart key for 2014 ford taurus ? A: You can have a try to enter Taurus 10-, and match keys and clear keys. 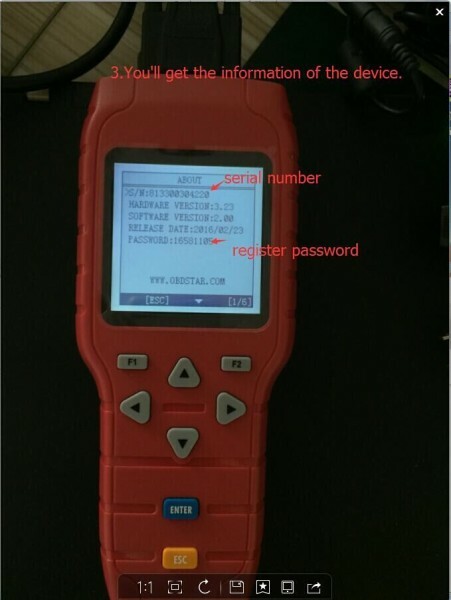 Q: OBDSTAR F108 can read pin code for PSA BSI? A: Yes, can read it directly BY OBD, no need to remove BSI. 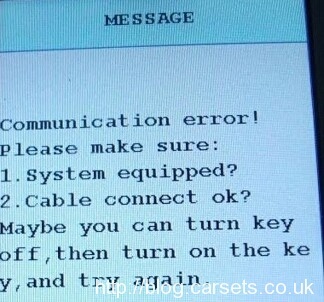 Q:OBDSTAR F108 can read pin code without key or all key lost? A: Sorry, can not support this function. Q: OBDSTAR F109 change the mileage for KM or Mile of SUZUKI? A: It is for KM. Q: Do you have any obdstar tools can do mileage correction for Honda Crv 2016? A: Sorry, at present no tool can do. Q: How to make log for OBDSTAR tools? A: Open setting-data record-choose open-Confirm-Then exit. Then test the car you need, make record for all the operation to change mileage for the car, and if you have problem, then feedback to log file, save the file to the log folder on the TF card. Q: OBDSTAR VAG PRO can change mielage and immo function for touran 2008? A: Yes, vag pro can do this car. Q: OBDSTAR X100 pro can program keys for 2015 ford fusion? A: Yes, x100 pro maybe can not support this car, you just can enter into China Mondeo to have a try. A: Sorry, at present do not support. OBDSTAR F108 PSA is a pin code reader& key programmer for Peugeot and Citroen 2016. 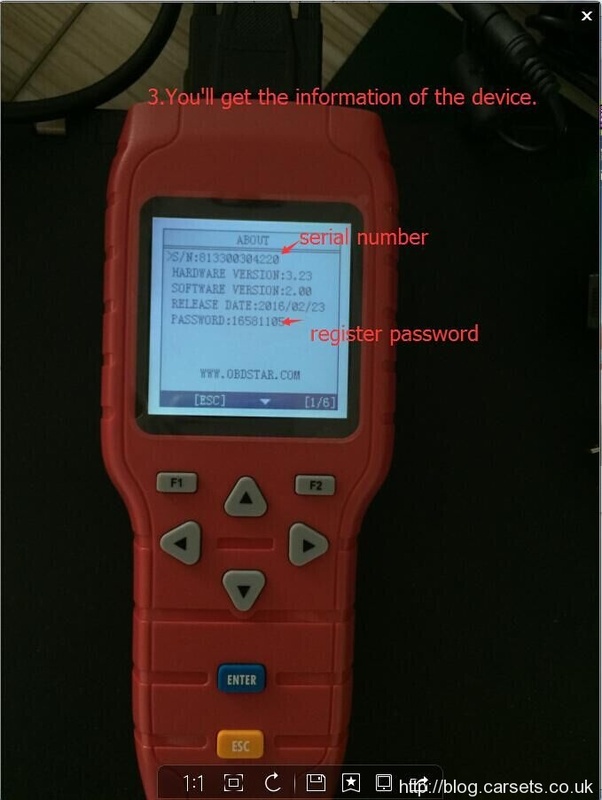 Here the customer of obdstar f108 from CarTool.co.uk shared his fantastic experience with using OBDSTAR F108 to read pin code for Peugeot 508, Citroen C5 and DS5. 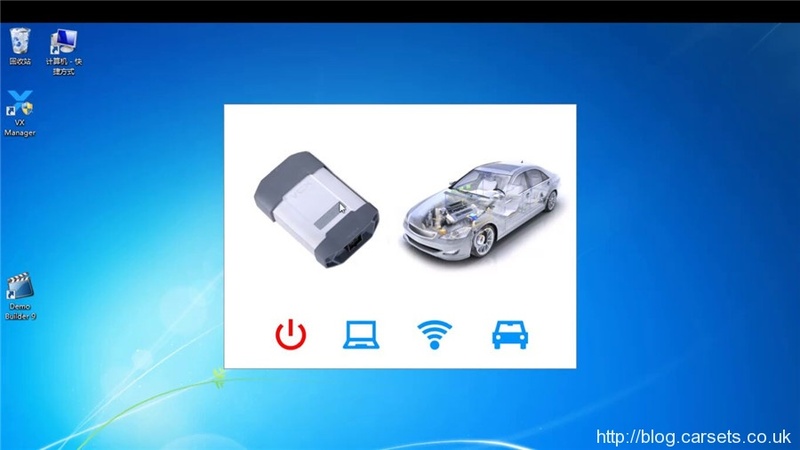 As follows, I will show you how to read out Peugeot 508 pin code with OBDStar F108. 1. Start form the main menu, choose Function, Immobilizer, Peugeot/ Citroen/ DS V31.09. 2. It is initializing and authoring, then I choose Peugeot. 3. When go to Read Security Code, it tells me to turn on ignition and turn off then turn on it again. 4. OK OBDSTAR F108 pin code reader read out 2011 Peugeot 508 security code immediately! I also tried it on a 2011 Citroen C5, read out pin code in 3 minutes. And on Citroen DS5 pin code read out in 1 minute. I think the reading speed may vary from different cars, but in my view it is fast. After use OBDSTAR F108 to read pin code2011 Peugeot 508, 2011 Citroen C5 and DS5, I can say the menu and instruction English is clear and simple to understand. In all, this F108 pin code reader is very easy to use and worth to get. As to its key programming function I haven’t add key, so this function wait for test. In the end, I hope my experience can help you! Why to Buy F108+ Pin Code Reader Canbus Kline ? Why to Buy F108+ PSA Pin Code Reader ? 2. Software update at official website www.obdstar.com with TF card at any time, and 1-year free update,after 1 year, the update cost 60USD/year. 3)Standard BMW protocol (BMW OBD interface). 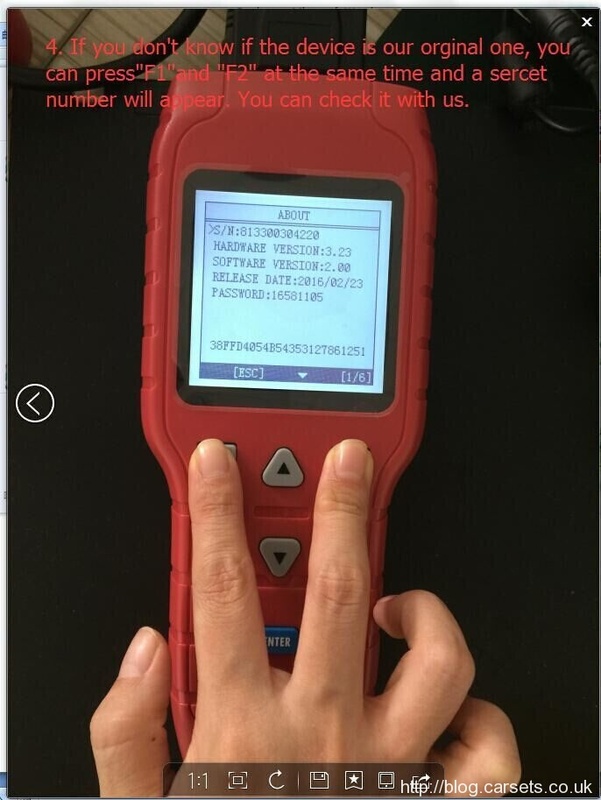 Here are some working solutions on BMW Creator C110 OBD2 code scanner “Communication error”. I’ve just purchased a Creator C110 code reader to try and diagnose an abs fault on my 2000 Z3, but for anything I try and scan (not just the abs) the reader just shows ‘Communication Error’. The OBD port should be fine since it powers up the C110 and the software version says April 2014. Can anyone help me get get them talking? I have resolved this problem. If anyone in a similar situation is searching for solutions – the C110 scanner cannot read [at least my particular car] error codes from the OBD port below the steering column. It required a 16 pin to 20 pin adapter (cheap $4.99) so that it could be plugged into the circular port located in the engine bay. Notice how the ABS system only starts up when the start/stop button is pressed (turn 2) this is when the ABS connection should be tried. Then select 3-series>DSC, this time C110 will show device and vehicle info, it works. Reference the Creator C110 scanner, when I use to test my 525i BMW 2009 it shows communication Error with a number of the codes. Updated to the latest V4.4 , the problem would solved ! How to Update BMW Creator C110 ? R280 Plus is a powerful Motorola microcontroller dedicated programmer supports automatic search mileage address and display the mileage, the demolition of the chip, the number of kilometers of direct input, the data can be directly visible, can be arbitrarily edited. 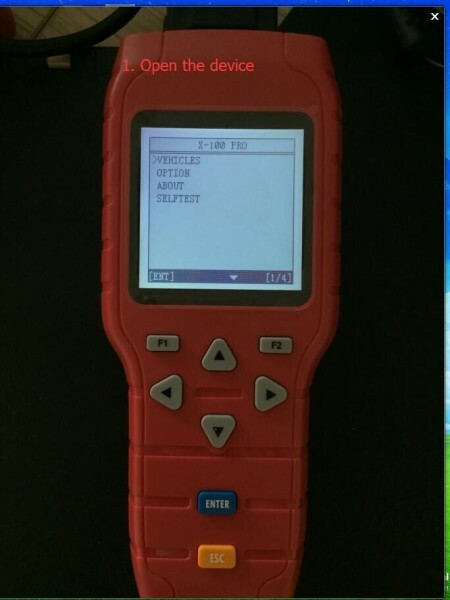 Arbitrary read and write /P-FLASH D-FLASH data, this product features a powerful, decryption security, becoming the automotive computer repair, data recovery, data transfer and other professional electronic maintenance engineer. 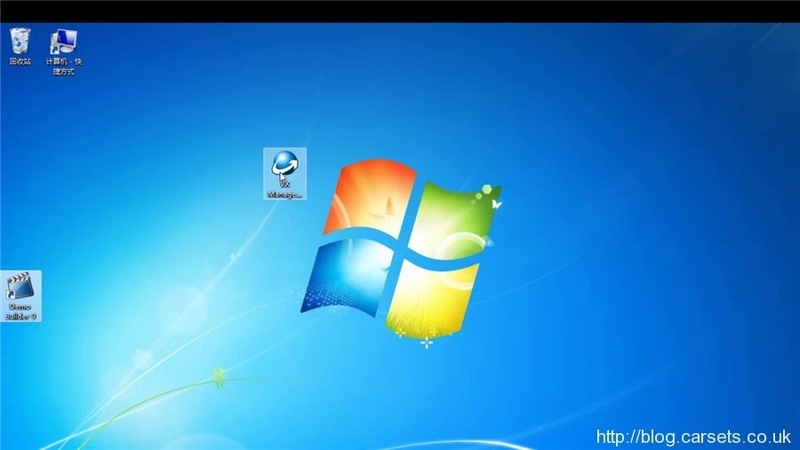 Support Engineer programming and Windows 7. 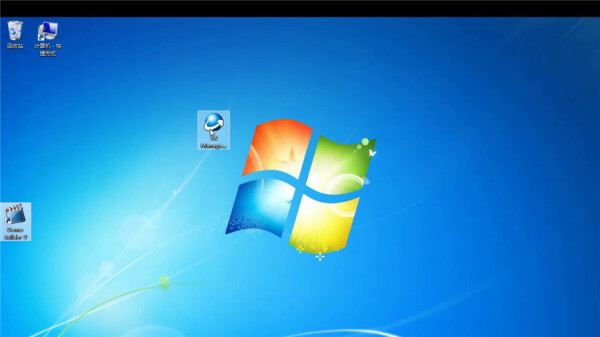 Copy TM100:Copy TM100 version is V1.45, can not update,if you try to update the copy tm100,lock it. How to edit odometer for CAS4,CAS4+ with Fly TM100 Key Prog? 1. Selete Tools, Dump Editor, BMW, CAS4 odometer setting. 2. Open dump file, current odometer value is displayed, input new odometer value, and set new value. How to save ISN for BMW via TM100 key programmer? 1.Select keymaker for BMW CAS3+ adding key. After original key decoded, TM100 will save 16-byte ISN for you. Notes: This version includes firmware 1 and 2 update. Please DO NOT disconnect PC with TM100 while updating. How to Register and Update OBDStar X-100 Pro ? OBDSTAR X-100 Pro is a handheld keys programmer supports EEprom Adapter+IMMO+Odometer+OBDII Function. Inherited the overall look of the original X100 +, changed the new silicone button, feel more comfortable. X100 pro adjusted the TF card slot position in mold, fits more tightly than previous generation, card plug will not go inside the machine. 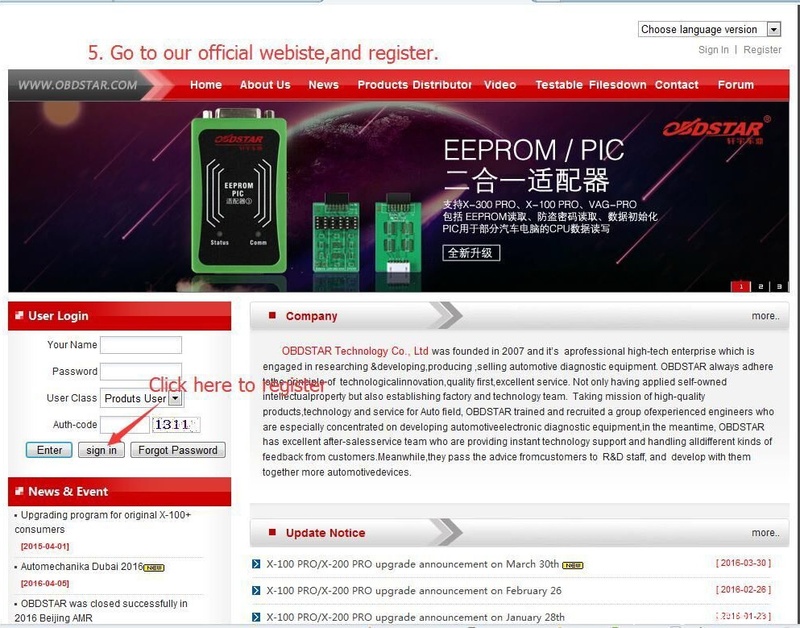 Here’s step by step user guide to register OBDStar X100 Pro online. 3. You’ll get the information like serial number and register password of the X100 Pro. 4. If you don’t know if the X-100 Pro is out original one, you can press “F1″ and “F2″ at the same time and a secret number will appear. You can check it with us. 5. Go to OBDSTAR official website and register the x100 pro online now. 6. Enter your OBDstar X100 pro serial number and register password. Note: The OBDSTAR products dealer code is 860010A1/860755B1. If it isn’t correct, please contact us for free. 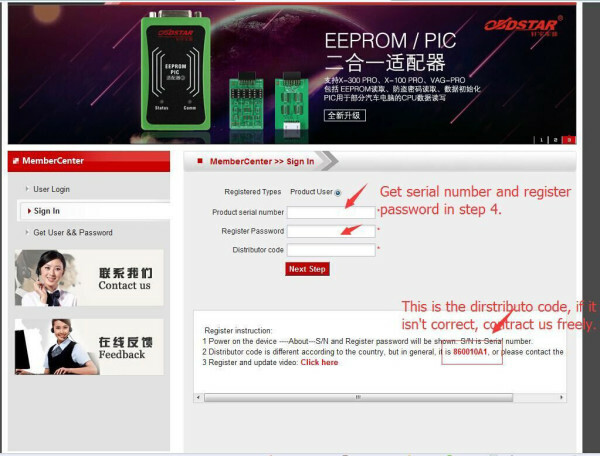 After register the device, you can continue follow the steps for How to Update OBDSTAR X-100 Pro. 1. 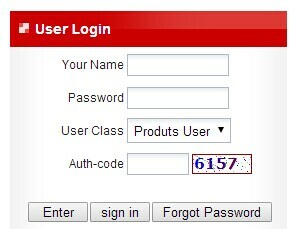 Login in OBDSTAR official website http://en.obdstar.com/ and enter into Member Center – Download Center. 2. Download and install the “Display”, “Display” is the required option, when you do the update, you have to download it. 3. Download and install the “Update tool”, if you are the first time to update the device. Update tool is no need ot download every time, it can be used all the time if there is nothing special. 4. Get the TF card from the product, put the tf card into the card reader which is attached with the OBDSTAR X100 Pro. And then insert it into the USB of computer. Note: TF card must be inserted in right direction, or it is likely to be burned. 5. Click the original content sign to find the file which has the update programs. 6. Click “choose all” to choose all the programs. 7. Find the CF card you just put in. 9. After it is done, click “Close”. VXDIAG Diagnostic tools diagnose cloud app works with Win7 / Win10 system, but Winxp. 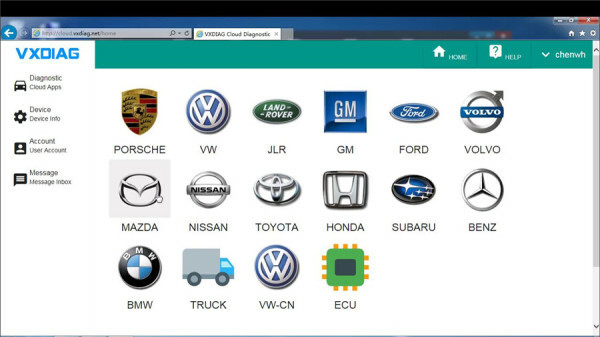 How to use the VxdiagCloud to diagnose on your vehicle ? SuperOBD SKP-900 Latest Version V4.4 Released Online Now. As we know, SuperOBD SKP-900 Key Programmer is a hand-held OBD2 key programmer supports almost all cars in the world, such as Ford, Land Rover, Chrysler, Jeep, Toyota, Nissan, Honda, Mitsubishi, Hyundai, Kia, and so on. 1. Register online with the Dealer Code 1001. 2. After registering, we will upload your device update file, After that. you will find it in ” My Update” when you log in the Official Website again. Great Thankful to your constantly support and understand on us! Soon our new website link CarTool.co.uk will replace CarSets.co.uk on 15th Nov.
Beliving in Building A Better Store, Finding A Better Tool , we are trying to make our website to be A Best Professional UK’s Car OBD2 Tools Center for Auto Repair DIYers&Technicians to Use. If you like our products and always buy with confidence from our website, we’d kindly remind you to bookmark our new site link CarTool.co.uk into your favorites.